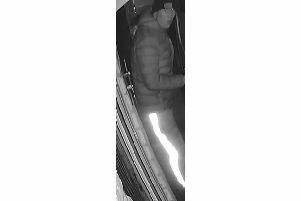 Merseyside Police are appealing for information following a number of incidents of criminal damage on Saturday, February 2 in St Helens. It was reported that in the early hours, three unknown male offenders slashed the tyres of a number of vehicles in Bates Crescent, St Helens. Witness and CCTV enquiries are ongoing and the police are appealing to anyone with information to please come forward. If you witnessed any suspicious behaviour in the Bates Crescent area, have any information or CCTV or dashcam footage, please contact @MerPolCC, 101 quoting reference 19100033486 or @CrimestoppersUK.